The sequel to „The Drift Fence”, featuring the continuing story of Jim Traft and Molly Dunn and introducing Jim’s sister Glorianna, who finds more than she bargained for in the West. When Gloriana Traft came to Arizona to visit her tenderfoot brother Jim, trouble was rampant in Yellow Jacket. The notorious Hash Knife Outfit of rustlers and gunmen were stealing the ranchers’ cattle and terrorizing the beautiful valley. Guns would blaze and blood would run hot and red before Goloriana and her brother became true and valiant citizens of the frontier West. 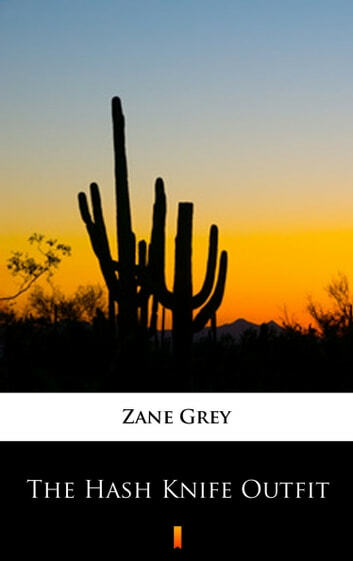 Zane Grey paints a pretty picture of the land, the men and women who settled it, and they danger of cowboy life.